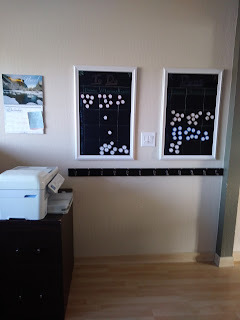 Why do we put up with inconveniences or inefficiencies for so long before we act upon them? My latest "Finally!" moment dealt with our backpack area. 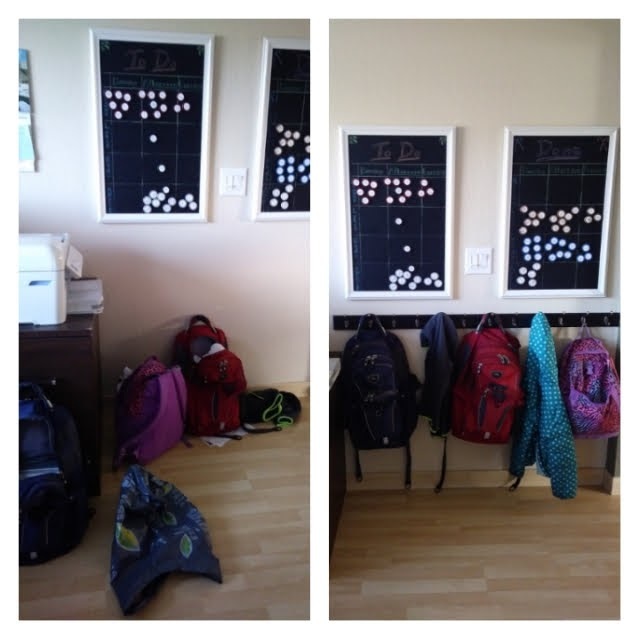 In my mind, my children would come home from school every day, neatly line up their backpacks against the wall under the chore chart, hang their coats in the coat closet, empty their lunch bags and return them to their backpacks, and my nook would always stay picture-perfect clean. Yeah, I'm not sure whose kids were in that fantasy. Or which mom, for that matter. The truth is that if I reinforced it everyday, it could happen. But after a l...o...n...g day of teaching, being the backpack police is the last thing I want to do. 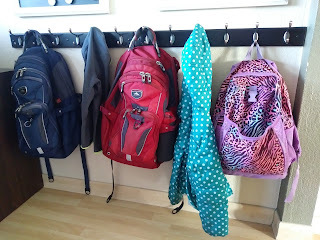 About six months ago, I was looking at the backpack hooks at school. "We should do that at home." Six months ago. Yeah. I knew the solution but had just gotten so used to putting up with the chaos that I didn't act immediately. 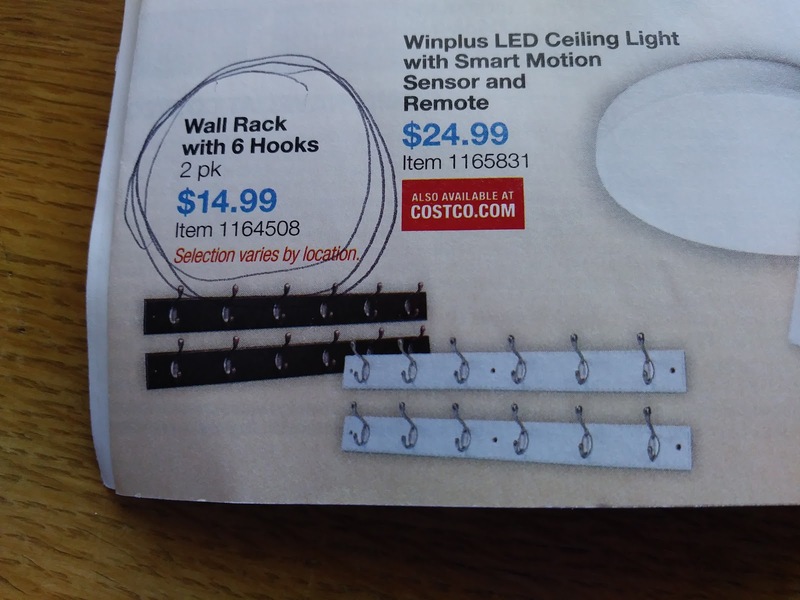 Well, the latest Costco coupon book lit a fire under me. They currently have a 2-pack of hook racks for $14.99!! That price was just too good to pass up. I may end up grabbing one or two more before the coupon ends on April 8. Unfortunately, this product is only available in-store. The box includes the screws and wall anchors for hanging. And although the enclosed directions were less than helpful, it only took me about 20 minutes to get these on the wall, including trips to the garage to get supplies. The directions say you only need a pencil and a screwdriver--that's a lie. To get enough room for three backpacks, I hung both racks side-by-side. 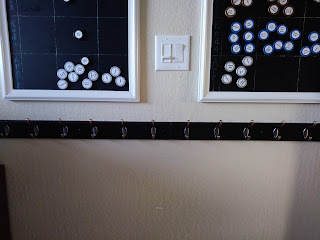 I also hung them into the drywall only as the holes did not line up with any studs. Regardless, they are solidly on the wall, and I have no fear of them falling with the weigh of the backpacks. 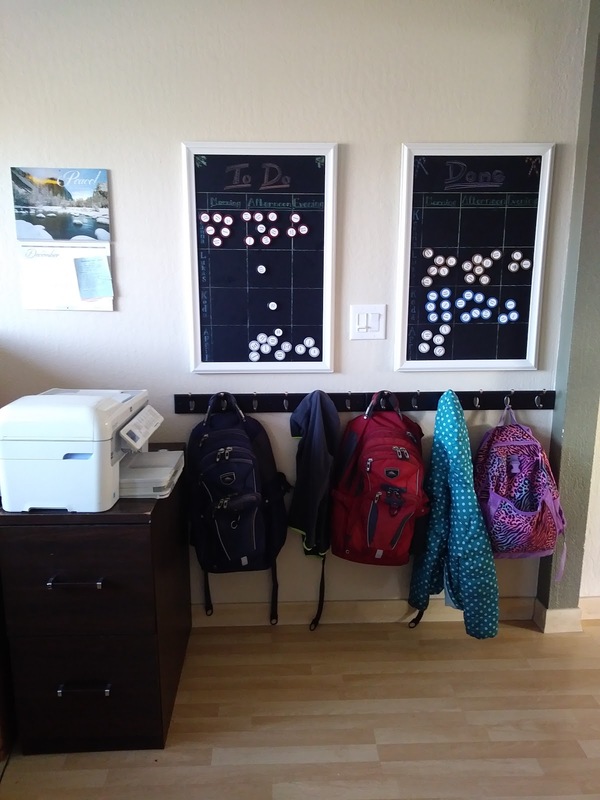 Since hanging them up, I have only had to remind one child one time to hang up his backpack. 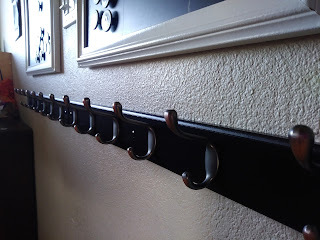 The hooks themselves are a reminder of where school things belong. And my boys have commented about how much easier it is to get things in and out of their bags when they are hanging as opposed to sitting on the floor. Another bonus: I can more easily sweep/vacuum the floor in this area. 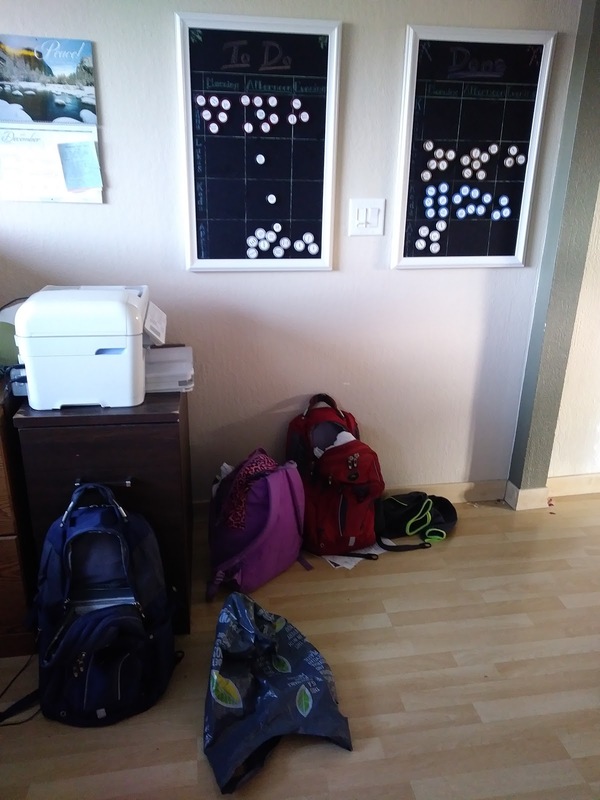 When summer vacation comes and the backpacks go into storage for two months, these will become our swimming lessons/pool bag hooks. We're all looking forward to that!